A tropical depression has formed in the Pacific Ocean south of Mexico. Forecasters expect it to become a hurricane on Monday. The storm is not expected to affect land. Forecasters at the National Hurricane Center in Miami say the depression has maximum sustained winds of 35 mph (56 kph) and the storm was located about 495 miles (797 kilometers) southwest of Acapulco. Hurricane Daniel is farther out to sea and is not threatening land. 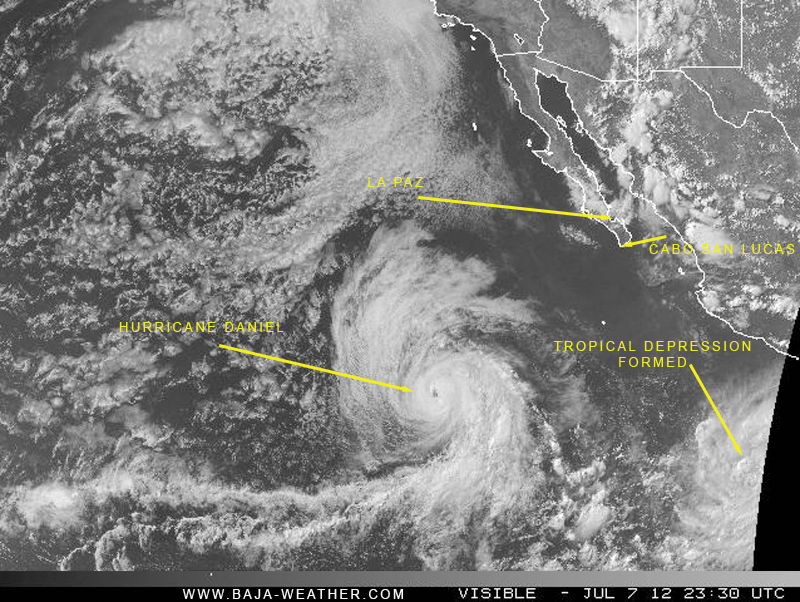 The storm has winds of 90 mph (145 kph), but Daniel is expected to weaken Sunday as is moves over cooler waters. The center of newly formed Tropical Depression Five-E was located near latitude 9.9 north...longitude 101.6 west. The depression is moving toward the west-northwest near 15 mph...24 km/h...and this general motion is expected to continue for the next couple of days.